This kit includes the basic Airo Boom Pole 1 (ABP1), a practical pro-style solution to bringing the microphone closer to the audio source without stepping into frame. Made of black anodized aluminum, the uncabled, non-rotational pole offers rubberized collars and a foam grip for quiet and comfortable handling. The ABP1 collapses to 3’ 2.5” (98cm), extends to 10’10” (330cm) and weighs just 1.6-pound (725g). For convenience, Airo also includes the AXC25 standard 25’ Microphone Cable with 3-pin XLR male to female straight connectors. Offering the functionality of costly shock mounts in a more basic package, the Airo Shock Mount 1, (ASM1) uses K-Tek’s microphone suspenders to isolate the mic from vibration and cushions it when the boom is moving. 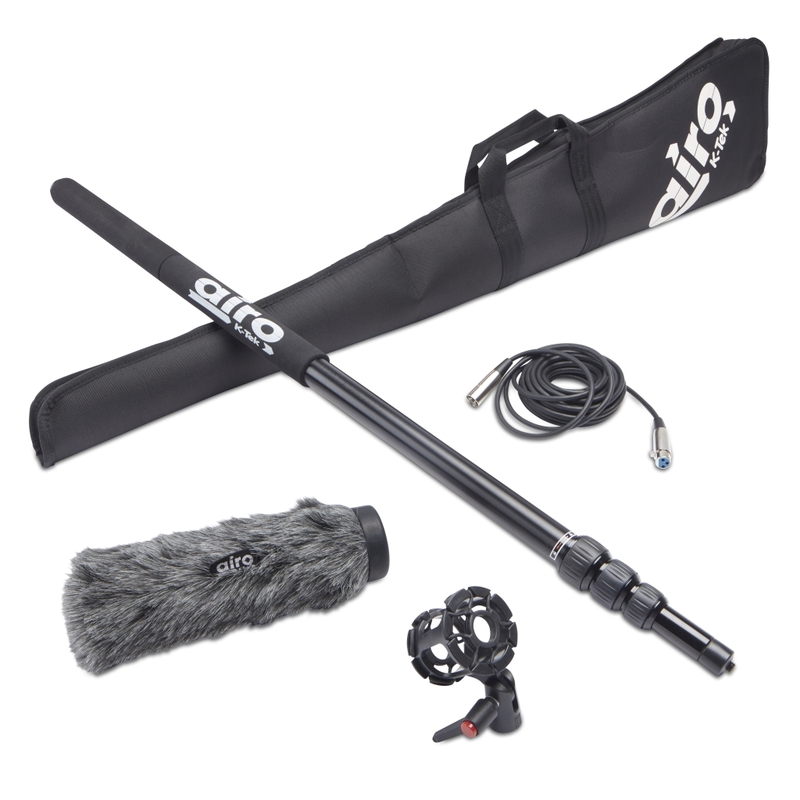 The new Airo Booming Kit (AIBK1), complete with Boom Pole 1 (ABP1), Cable (AXC25), Fuzzy Windscreen (AFW1), the Shock Mount 1 (ASM1), and Airo Kit Bag (AKB1) is priced at $249.95 starting late April 2018.